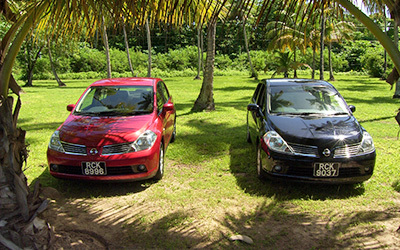 Our car rental division, Sheppy's Auto Rental is widely recognised as Tobago's premier vehicle rental service. Colin Shepherd's objectives have always been the same: to provide quality service and the very highest of standards at the cheapest possible rates. Guests staying at Shepherd's Inn can be assured of a priority service when renting a vehicle from us. 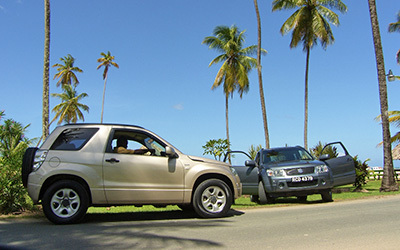 Your hire car, jeep or SUV will be delivered directly to the hotel, conveniently ready for your arrival. Whatever type or size of vehicle you choose, you can be assured that it will have been maintained to the very highest of standards. Our vehicles are all comprehensively insured and backed by a 24-hour roadside assistance guarantee. 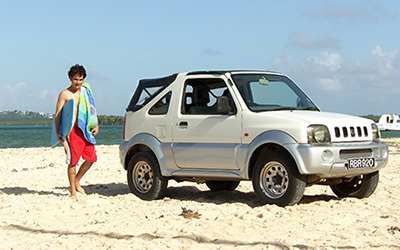 Our rental fleet includes comfortable sedans such as the Nissan Tiida, as well as hugely popular 4x4 SUVs such as the Suzuki Vitara and Honda CR-V. Larger parties will appreciate our more spacious multi-seat vehicles such as the excellent Nissan AD Wagons or Nissan Serena. 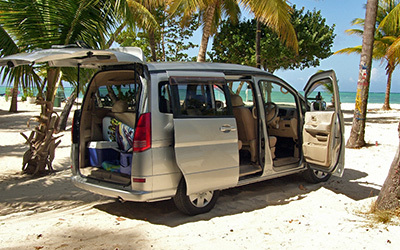 Sheppy Auto Rental, Store Bay Local Road, Crown Point, Tobago.